Demand Player Sovereignty or DPS is a movement in civil disobedience led by Third Faction. Our goal is to gain greater autonomy for the players of the massively multiplayer online game "World of Warcraft" not only to support the diverse and creative play styles that are created by the players, but also to earn the players a voice to change the rules of the game itself. The Third Faction Collective, will lead its members and volunteers in active engagement within both the game environment as well as outside it. 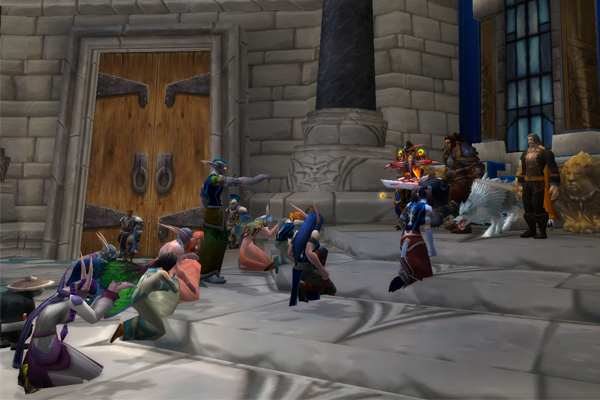 The rules of World of Warcraft are strictly designed to keep the player's actions within the expected experience engineered by the game's creators. That engineered experience however is one of war and conflict. Attempts to push the borders of acceptable gameplay are met with resistance on the part of the game creators. At best, the game is patched to remove the offending potential actions. At worst, the player is punished and their account taken away. The Terms of Service, which must be agreed to play the game, exist to control the social mores of the players. To achieve our goal, we subvert the deliberate factional conflict within the game, participating with our supposed enemies, exploring peaceful modes of play, and bringing the ideas of political player resistance to the in-game public forum. Demand Player Sovereignty is participating in ISEA, The Inter-Society for the Electronic Arts. Our workshops in civil disobedience are taking place this week. The symposium is being held right now in Istanbul, Turkey. Our workshop is a tutorial on exploring virtual spaces as a medium for political resistance and social awareness. 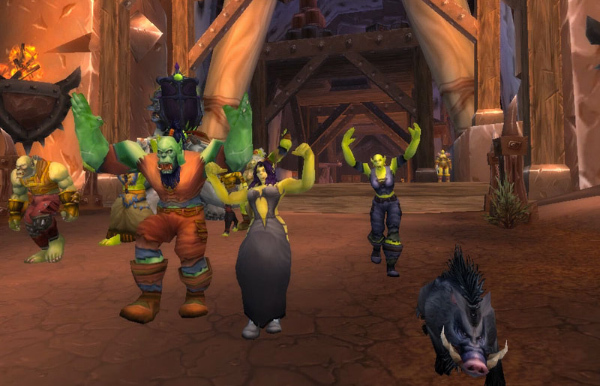 We are hosting a current intervention into the World of Warcraft which encourages real-world social change through in-world political action, activism, and philanthropy. Participants in the session will learn about online gaming interventions, the history of significant acts/performances/projects, discuss strategies, extending virtual action into the geophysical/"real world", and practical experience about playing as an activist in MMORPG’s. Furthermore, attendees will learn about strategies for engagement from passive resistance to anarchical actions in game, positioning the player as a multi-dimensional agent of change. Your life is a game to those in power and your personal liberties are at stake. Please join us in resisting oppression wherever it may be!